If you’re charged with underage possession of alcohol in Virginia, you should talk with an attorney to find out what the Commonwealth can prove and what might happen in court. Hello my name is Andrew Flusche. I’m a Virginia traffic and misdemeanor attorney. If you’re charged with underage possession of alcohol in Virginia, or if your son or daughter is charged, you need to know a little bit about the law and also about what possibilities might be available in the case. First of all, it might surprise people to learn that underage possession of alcohol in Virginia can be proven, and you can be found guilty, even if the alcohol is only in your body. You don’t have to have a beer or wine or something in your hand. You’re considered to be possessing the alcohol in your system if it’s affecting you. So basically, if the officer can prove that you seemed, to some degree, to be intoxicated or under the influence of alcohol, or if the person admits that he/she had a drink earlier that can be enough for a case of underage possession of alcohol. Typically what you see is the officers get called to a loud party or some kind of disturbance or suspicious behavior. The officers come up and find some young people who may have been drinking. They ask people if they’ve been drinking. People say that yes that had. The officers pull out their preliminary breath test and get a reading, even a reading of .02 or .03, which is plenty legal to be driving for an adult. Even a low reading like that is enough to prove that you do have some alcohol in your system and that can prove the case for underage possession of alcohol. So what’s next? If they can prove the case, what can happen? The good thing is, there is the possibility of getting a first offender disposition in a case like that. So the way that works is you have 6 months where you have to be on good behavior, you can’t have any new violations of any law, you have to do 5o hours of community service, you have to do a substance abuse evaluation and any treatment that they require you to do, you have to pay court costs, and during that 6 months it’s discretionary for the judge to suspend your license or not. 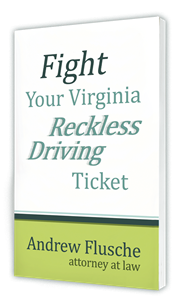 Most of the judges around the Fredericksburg area would not suspend you if you didn’t have anything to do with a car when you were caught with the alcohol. So if you were just at a party, typically you would not get suspended. Now, if you were driving, then it may be a different story and your license may be suspended in the Fredericksburg area. So, even though they may be able to prove the case there may still be a first offender option available to you. So it’s definitely something you want to talk with an attorney about. First, can they prove that it’s possession? And second, what possibilities might be available, like the first offender program?